A not-so quick update on what I’ve been up to since my last blog post. Long story short: I’ve become very passionate in and an advocate for digital accessibility! Particularly inclusive design. It all started with my tenure at Holland Bloorview Kids Rehabilitation Hospital where I helped rebuild their suite of corporate websites. Working on site, I was immersed in Holland Bloorview’s mission of improving the lives and independence of children and youth with disabilities and support for families. Holland Bloorview is all about inclusion and independence. After all these years, I’m still in awe of the ground-breaking research their institute conducts. It’s the kind of stuff you only see in sci-fi movies (such as people with mobility issues being able to control computers with their thoughts!). I really do mean it when I say that working at Holland Bloorview changed my life. I always find myself identifying both physical barriers and opportunities for people with disabilities while I’m out and about. It’s not solely about ensuring a corporate website complies with web accessibility regulations in my home province of Ontario (and soon a federal law in all of Canada), it’s about ensuring people with disabilities can browse a corporate website – all websites – independently. As the ones building the websites and digital products, we can be the barrier or the provide the access. Steve Saylor, a friend of mine who is a digital media creator with low vision, grew up having to watch other kids play video games. With the advent of virtual reality gaming, he’s now able to participate. Check out his video entitled Blind Gamer tries VR for the first time! and prepare to tear up. Lucky for me, Toronto has a thriving and enthusiastic community of web accessibility professionals and advocates who gather at #a11yTO meet ups to share expertise and support. Developers offering workshops on making code more efficient and readable by assistive devices. I’m currently in the process of updating all my professional websites so they also comply with web accessibility standards. First up is my Stuttering is Cool website which runs on WordPress. The theme I had been using wasn’t very accessible so I decided to find a new one. I’m also due for a refresh of the web design and branding anyway so the timing is perfect. I’m also planning on using this updated design to launch a new section on my website that features my web comics. My plan is to create and post web comics on a regular basis – and make them accessible to screen readers. However, a number of Google searches turned up nothing about best practices in making web comics accessible. I asked a few people at a recent #A11yTO meetup and they agreed that there doesn’t seem to be any best practices aside from adding descriptive text in alt tags. But that got me thinking. Adding descriptive alt tags can’t be the whole story. Do I post each panel as a separate image with its own alt tag or the entire comic as one image with the comic’s events described in the alt tag? Which option would users with low vision prefer? Would it be irritating for them to constantly be interrupted by the screen reader to inform them that they are landing on another image/panel? Or is that the norm? What if some users with low vision prefer multiple images while others prefer one long one? Should I simply add an audio file of me reading the comic like an audiobook? I bounced these questions and ideas with Jennifer Chadwick, Lead Accessibility Strategist and Product Expert, North America for Siteimprove, who I met at an #A11yTO meetup a few months ago. Jennifer recommended that I also look into description detail. She used the example of a graphic ad for a mortgage on a banking website – would it benefit users with low vision to have the image described as consisting of “a couple sitting on a beach in bathing suits, sunglasses, and hats holding up tropical drinks and smiling to each other because they were able to afford this luxury vacation with the mortgage they got”? Or would users prefer a brief description such as “couple on a beach” so users can scan the website faster? Because, you know, we love ads when we’re surfing, right? 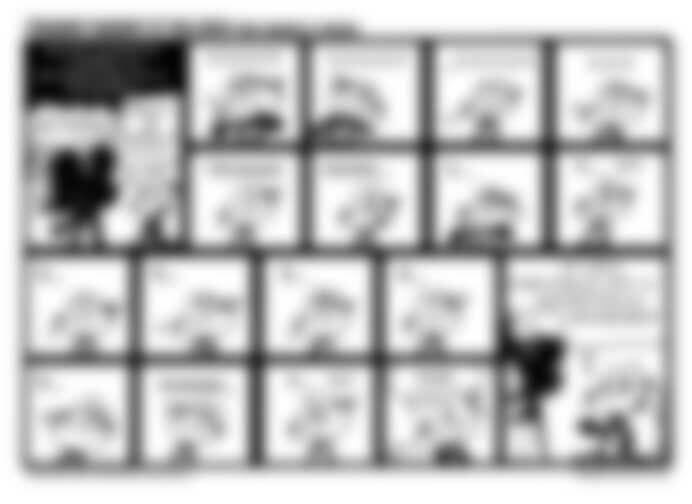 I wondered what kind of user experience audience members with low vision would expect when “listening to” a web comic? There’s lots for me to learn! And it looks like I’ll be having a lot of conversations with people who use assistive devices! And I can’t wait to share my new knowledge. Thus, with this post, I’m announcing a new blog series on creating accessible comics. Stay tooned!